Well, if you havent noticed already, SeanInTheCity|DFW holiday 2011 has arrived. it “really” goes without saying that christmas is my favorite holiday ever. Tis the season, when all ready stores start changing out the fall looks to make way for the winter wear. It also is the time when people rush in to any cafe to snag a hot chocolate. It also marks the countdown to my birthday. In fact as of today the time clock marks only four weeks left for my big day. As a kid i always loved, this time of year, the right after Halloween and right before Thanksgiving part. Seems like everyone sets their mind clock in order to center themselves in Christmas cheer. Well, thanks to The Delilah Radio Show the music is now tuning in to our cars and ipods. Among all the classics my obsession focused on a new batch of classics , as well as some old. 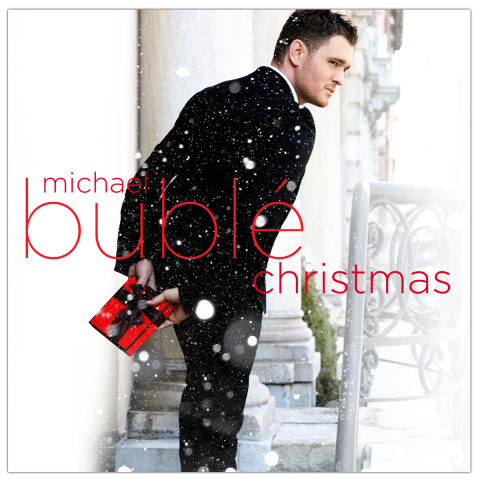 Michael Buble, last month released his 1st full holiday album, unlike the Let Snow mini album which he released in 2003, this one has all the classics and the velvet voice behind them make the feeling of christmas spark that much brighter. My purchase of this album last week, has put me a winter wonderland whirlwind. If anyone is a fan of Mr. Buble, you know exactly what kind of voice we are dealing with here. Needless to say the tunes have been blasting from my car, and of course i’m “in the city” apartment, for the whole week straight. At this rate of my obsession , one can say im one song and one gingerbread latte away from putting up my tree. But one must hold back on these kind of impulses, but im here to tell you that one track off of Christmas by Michael Buble will have you in such desperation for christmas, it may come a tad early this year. This entry was posted in | and tagged black friday, CHRISTMAS, christmas songs, holiday shopping, Holidays, michael buble. Bookmark the permalink.